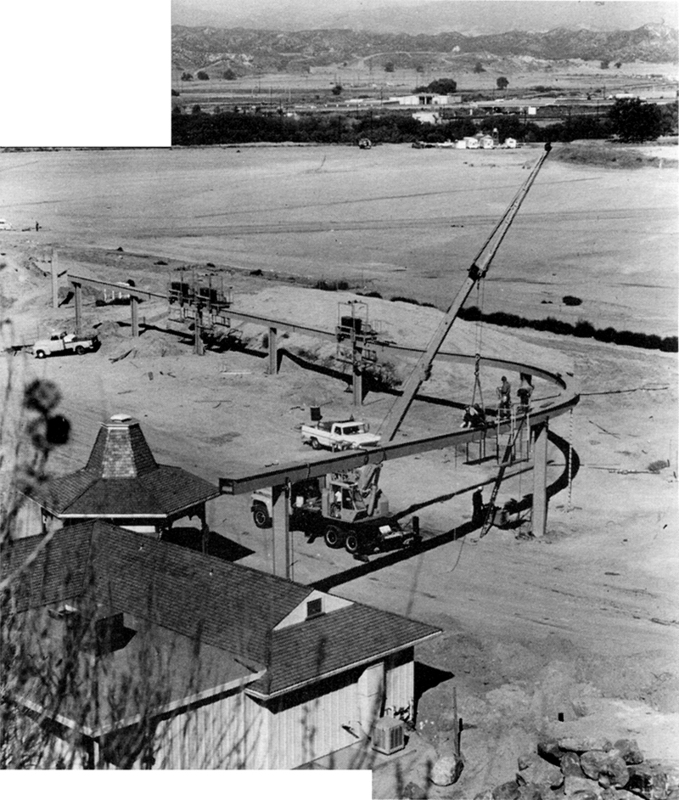 Metro under construction in 1970. Fabricated by Universal Mobility Inc. (later called UM), Metro was an automated monorail that carried passengers to three stations (Whitewater Lake, Country Fair and Mountain). By 2001 it had fallen out of use and the trains were stored on site for 10 years. In 2011 they were relocated to Hersheypark, a Pennsylvania theme park that had been established in 1905 by chocolatier Milton S. Hershey as a leisure park for company workers.